Exhibitions, meetings with writers and critics, readings, lectures and guided tours are offfered free to the public at the offices of the Foundation. 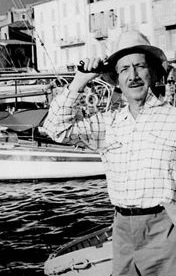 Exhibits feature not only the work of Saint-John Perse but also that of other creators — writers, poets, painters, publishers, etc., as the author explicitly wished. Each year, four temporary exhibits are held, often in partnership with other organizations. 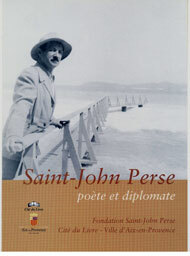 Some exhibits explore the work of Saint-John Perse while others focus on a wide array of artistic figures, such as Gisèle Freund, Claude Garanjoud, Jacques Dupin, Jean Giono, Valery Larbaud or Guillaume Apollinaire. Some exhibits may be borrowed from the Foundation for travel elsewhere. Since 1996 the Foundation has hosted encounters with contemporary poets, in collaboration with Cross Scriptures. 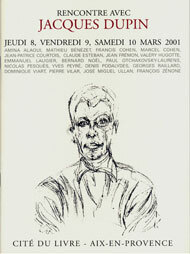 Lorand Gaspar, One Stétié, Jacques Dupin, Adonis, Edouard Glissant and Yves Bonnefoy are among those who have attracted a wide audience in the auditorium of the Cité du Livre. Since 2009 the Foundation has organized an event entitled Poets’ Spring, bringing in such poets as Daniel Maximin, Pattrick Chamoiseau, Ernest Pépin and Vénus Khoury-Ghata. Lectures and colloquia are also regularly scheduled. Exhibits are free and open to the public. 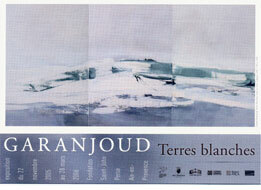 Guided tours of the Foundation may be arranged by reservation for groups (documentation-fondation-sjp@orange.fr). The Foundation sponsors two journals. The Cahiers Saint-John Perse, in collaboration with Gallimard, presents scholarly editions of unpublished correspondence to and from the poet. Souffle de Perse, the Journal of the Association of Friends of the Foundation, offers a wide range of studies devoted to Saint-John Perse.